Seed motifs are clustered organically across a sheet of stainless steel and formed to create this statement piece. All pieces are made from stainless steel and finished in a variety of colors. 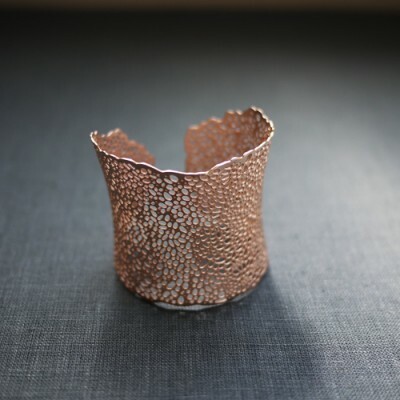 In addition to untreated steel, this piece is offered in Gold and Rose Gold.